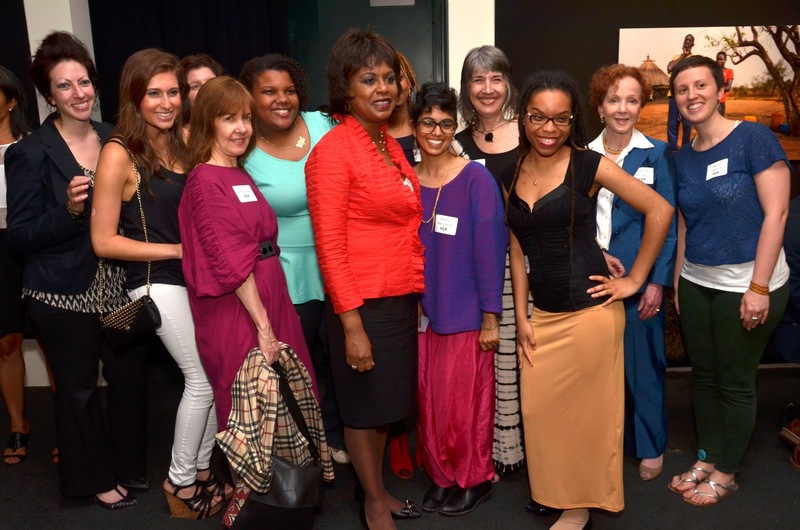 Girls for Gender Equity | Recap of Sold-out Screening of ANITA! Recap of Sold-out Screening of ANITA! Indeed, generations of women and men filled the theater, many moved to tears when Ms. Hill, the youngest of 13 children, welcomed her parents into the courtroom. Girls for Gender Equity was proud to have a part in the film as our Sisters in Strength high school Youth Organizers played a small but significant and powerful role, demonstrating Ms. Hill’s legacy in their facilitation of a Hey, Shorty! workshop at School of the Future. At the Q & A that followed, between filmmaker and star, Ms. Hill, who was the featured speaker at GGE’s 10-year anniversary celebration last June, gave another shout-out to GGE Sisters, praising the young women for carrying her legacy forward with the critical work they do around sexual harassment prevention. The reception that followed was filled with interesting people and exciting conversation around the film, and GGE received a great deal of complimentary attention. Our staff and participants enjoyed the event immensely. Stay tuned for future Anita! screenings and events this fall, and join us in praising a true feminist icon while preparing tomorrow’s movement leaders.